Best drill press for making vias? So I was hoping to gain some insight on what everyone else was using to drill their holes for their boards. What drill press do you use? What problems have you encountered with this? Attaching/aligning the work to the sacrificial base, and setting tool height would be the biggest hassles, especially for a one-off. Doing multiple pieces it is easy enough to mill a locating pocket for the PCB. We are working on a Drill accessory, launching in Q1 2018. That doesn’t help you make holes today, but might impact your decision to purchase. The sequence of steps is very similar to the Aligned Print and Solder procedures. You need to align, probe, swap the probe for a drill. Further on the MDX-20, as well as drilling you can also use it to create the tracks on the board by routing isolation lines, route holes/slots etc in the PCB, and cut out the board itself. 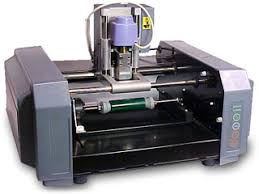 It is also useful for cutting holes for switches and display windows and engraving text/images in cases. 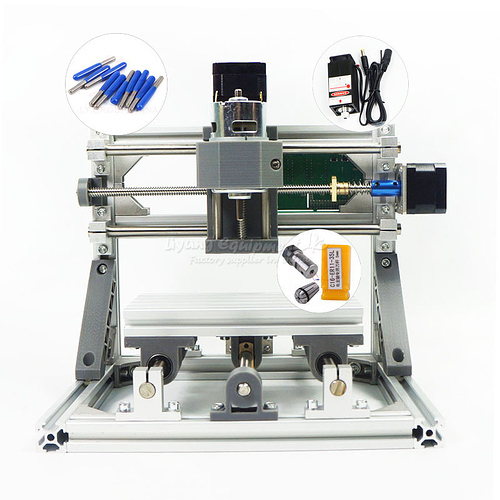 There are a a lot of low-cost machines available now that weren’t available when we bought the Modela, if I were starting again now I’d take a look at some of the machines on AliExpress and see what I could do using one of them as a base, where you can get something like this for around $300 delivered. Or wait for the Voltera drill attachment, which will be a much better product!